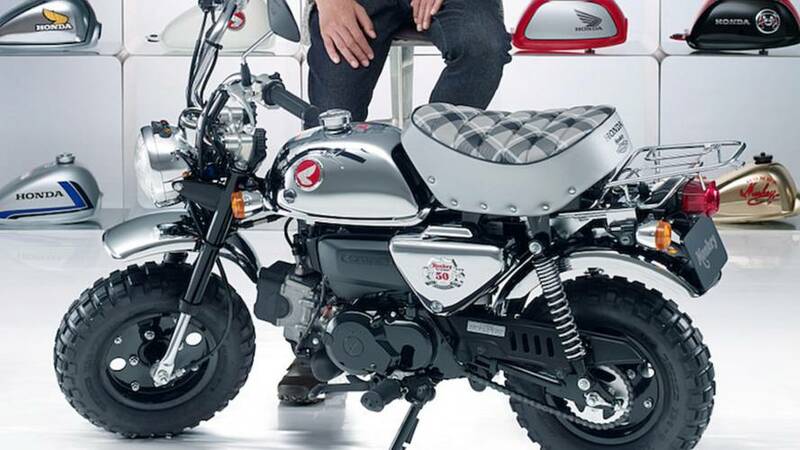 Honda announces the death of its legendary Monkeybike with a 50th anniversary edition. Back in April, Honda announced that production of the legendary Z50 "Monkey" minibike will come to and end after 50 years of faithful service. The original Z50A Mini Trail 50 first appeared in 1968, and for fifty years served riders worldwide as go-to learner bike, pit bike, camping companion, and all-round utility moto. The original Monkey was an extremely simple machine powered by a 49cc engine with a three-speed transmission and automatic clutch. It featured a red/silver or yellow/silver tank, chrome fenders, and white grips. Riders called that first generation bike the "Monkey Bike" because that's what you looked like hunched over the controls of the tiny thing. The Mini Trail fuel tank emblem appeared in 1970, accompanied by aluminum levers rather than plastic, and a larger rear fender. With the announcement that they would retire the Z50, Big Red announced a limited edition 50th anniversary model in a throwback white and red color scheme for the Japanese home market. Those bikes sold out almost immediately, leaving countless bereaved Monkey fans without a chance to purchase their very own 50th anniversary bike. 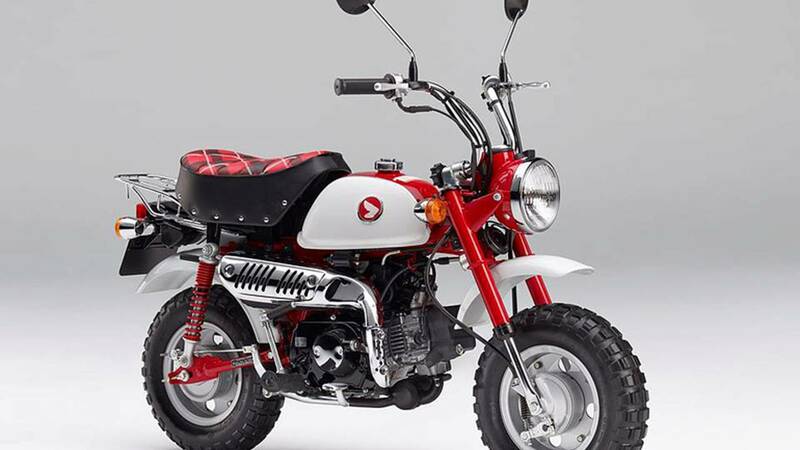 Not all is lost however, as Japanese Nostalgic Car reports that Honda just announced one more limited run of 50th anniversary bikes – the Monkey 50th Special. Trading the retro red and white paint for a monochrome theme, the 50th Special comes with a chromed tank, fenders, headlight, and side covers. The shiny bits are complemented by a grey tartan-pattern seat and black wheels. 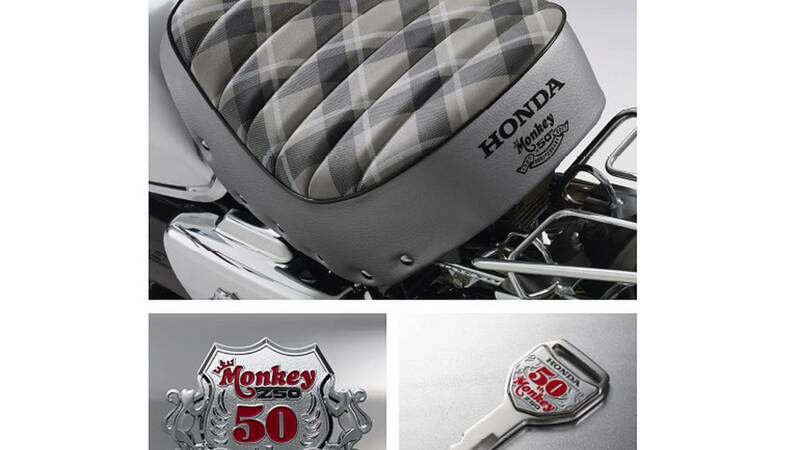 The familiar Honda wing logo returns, and the top of the tiny chrome fuel tank is graced by a special 50th Anniversary logo. Even the key is embossed with the 50th anniversary logo. Honda will start taking orders for the 50th Special on July 21. Given the short production run, and the popularity of the standard anniversary model, if orders outstrip the build number the company will choose buyers by a lottery system. If you have a friend or relative in Japan, or if you can otherwise qualify for a JDM lottery, you can try your luck here.